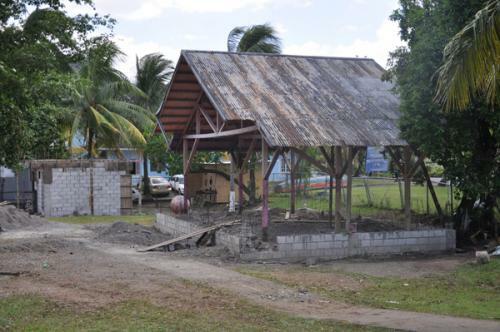 The drive to see Port Antonio retain its status as a major resort town continues to bear fruit as efforts by the Ministry of Tourism and Entertainment and its agencies, to renovate key tourism facilities in Portland, such as the Neville Antonio Park, are being hailed as a game-changer. The Neville Antonio Park in Port Antonio is being refurbished through the provision of $8.9 million by the Tourism Enhancement Fund (TEF), and His Worship, the Mayor of Port Antonio, Councillor Benny White says this will ease congestion in the town during major functions and earn well needed revenue for the Portland Parish Council. In expressing thanks to the TEF for the financial assistance Mayor White underscored that the park will be improved with the construction of new restroom facilities and a refurbished stage, which will facilitate greater use by residents, corporate groups and church organizations. “Over the years the Neville Antonio Park has become run-down and looked disgraceful so we sought some funds … to build two bathroom facilities, a changing room and a stage,” he said. The renovation project has been undertaken by the Tourism Product Development Company (TPDCo) at a cost of $8.9 million. It was highlighted that the restoration of the park will provide an alternative venue, thereby reducing the need to host major events in the town square. The Mayor noted that “we are going to encourage persons to use the park for entertainment. We do not like when persons use the town square because the town is already congested. Corporate entities usually use the square when they are putting on functions and churches and other organizations would normally rent the park from us for other functions. It will bring some income for us, well needed revenue to the Portland Parish Council when it is finished. When the park is used it will remove the congestion from the town square,” he said.